Tori: Over the last couple of months I’ve been spending a lot of time thinking about the type of TV we as a society are being shown. Specifically, it’s been interesting to think about TLC and their offerings. Before I began this investigation I had so many preconceived notions about American Gypsies and the Duggers that I just thought I would be presenting my initial biased, admittedly close-minded, view. Instead, after doing some research on both shows, it became simple to separate my personal thoughts about the people involved on the shows with the company who airs them. I have come to find that TLC, much like other channels, panders to their viewers and is just as biased as the rest of us. During a time when TV networks pride themselves on their partisanship (ala Fox News, CSNBC, and The Daily Show with Jon Stewart) we shouldn’t be surprised this would be the case for TLC. 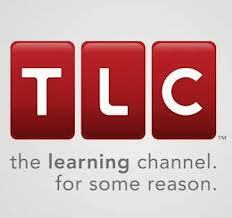 And yet, given TLC’s brand is based on “The Learning Channel,” what are they actually teaching us? That it is utterly ridiculous to get married so young in the Gypsy culture (but they do it anyway) and completely acceptable to get married and have 19 kids if you’re able to sustain your family? In the end, people watch TLC for the entertainment, not an education which leaves me with one final, unanswerable, question: is this what TLC wants from their programming? Abigail: First of all, I’d like to thank Katie and Tori for taking the time to have this slightly more formal conversation about this particular moment in popular culture. I’ve enjoyed reading your posts, and I had a lot of fun writing mine. This is probably the time when I should make some great announcement as to whether TLC is the modern sideshow, but since I’m still safely ensconced in the ivory tower, I’ll use my academic prerogative to challenge the question rather than simply answering it. If we consider the sideshow a place where people could safely view the “other,” than yes, TLC is certainly such a place. From the comfort of our own couches, we can sit back and wonder at the titillating questions raised by Abby and Brittany and Sister Wives or gawk at the lifestyle choices of the Duggers and Honey Boo Boo’s family. At the same time, TLC is hardly the only place where such programming exists. A&E, Nat Geo, and even The History Channel offer similar programs (after all, there are shows on hoarding on TLC and A&E, and Nat Geo’s Taboo often includes the same people featured on TLC’s My Strange Addiction or My Weird Obsession). If it’s a sideshow network, then it’s hardly alone. Calling any program a sideshow has connotations of exploitation. Katie is far better suited to answering the question of whether sideshows are inherently exploitative in nature, but I’ll go out on a limb and say that I don’t think the TLC programs are. One of the themes that came up again and again as I watched these shows and read about them was the extent to which the subjects control their own narratives. It’s also clear that these people are being compensated by TLC for appearing on the program, though it’s unclear how much money is involved in the agreements. Whatever we may think of these stars of “reality” television, I, for one, hope they are using their fame to their advantage. She is full of wisdom. It’s also probably worth a reminder that when we talk about popular culture, and especially about the stars of “sideshow” programming, we are really talking about ourselves. 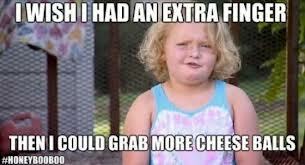 So whether you love Honey Boo Boo or just love to hate her, do yourself a favor and take a minute to think about why. 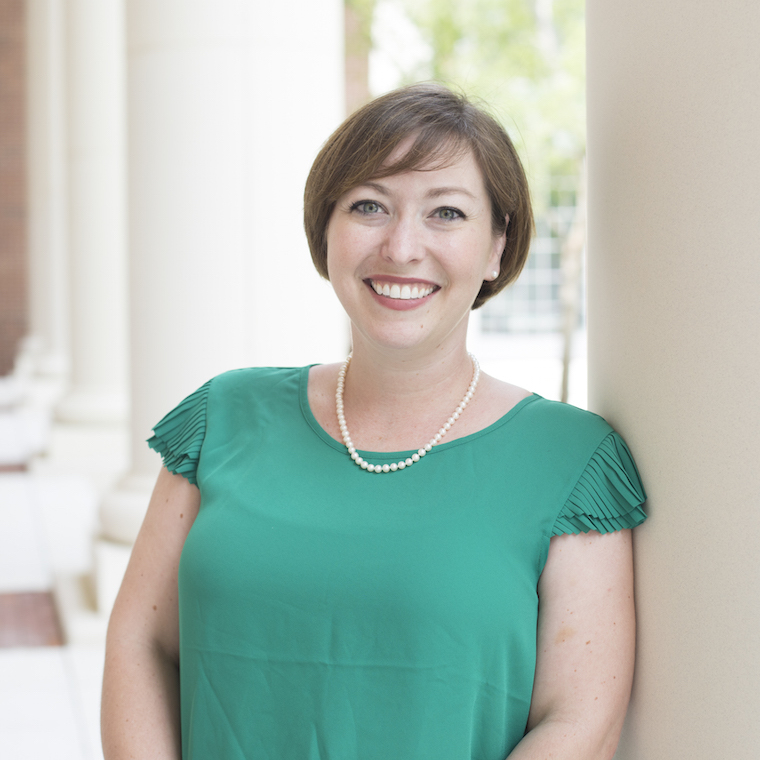 Katie: I’m so happy that after months of watching all of the TLC shows unfold before our very eyes the three of us were finally able to sit down an put together a blog series on our thoughts, questions, and ideas. Thanks so much to Tori and Abby for participating! As I’ve said before, this is a topic that I feel I could write about for each of the shows, probably multiple times. Last night during the Sister Wives premiere (which Abby and I g-chatted through “Kody is such a fool!”) I saw promos for a show about the wives of Sin City and another about the Amish Mafia. While is is really more fodder for the freakshow fire, I still do wonder how educational it is? Since Abby and Tori summed up a lot of thoughts from this series, I can’t help but go back to the History Channel (as I always seem to do), which in the not too distant past did show documentaries about castles, Vikings, The “Dark” Ages (they weren’t that dark!!! ), and of course, Hitler. With the reality TV of Swamp People, Mountain Men, and Hairy Bikers it seems like they are focusing on the out-liers (and MEN) of society to draw visitors to see something weird or strange rather than actual history (ya know, from the past). Yes, History is made every day, but aren’t there other channels for that? What is the education value here? The flip side to that is, what happens when educational programming actually occurs? I will admit that How the States Got Their Shapes is educational and pretty fun, which proves that this is a possibility. I also got a text from Abby that there is a new show called I Love the 1880s; while this is an obvious play on the I love the... series on VH1, Abby pointed out that it isn’t about the 1880s. I haven’t watched enough to know if this is something worth watching, educational, or just silly, but I’m not sure how well relating to teenagers is working out for the network with this theme. Watch, as four white males survey the beautiful country that they built (seemingly) without the help of immigrants, non-whites, slaves, women, or anyone else that isn’t rich and gloriously ivory. 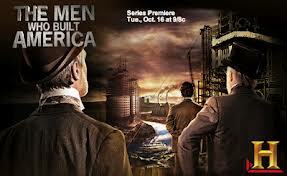 My last example from the History Channel of “actual educational programs” is the warning vibes that I got, just from the titles really, of Mankind: The Story of All of Us and The Men Who Built America. 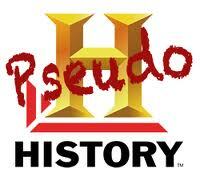 The former may cover all genders and races, but the title seems to appeal to the male demographics the history channel reaches, and from the short clip that I watched (which enraged me), no women were shown. On principle I pretty much refuse to watch The Men Who Built America because I think traditional history classes and the “great books” and everything else in the world has covered the stories of the rich, white men more than enough. Is this seriously a show? As I digress, I do think that television in general has replaced the sideshow, the freakshow, the circus, the gladiatorial ring, and so forth. As technologies and interests grow and change, perhaps this is simply the next evolution in the presentation of “the other” for entertainment and, in some small way, education. People are always curious about the strange and the different, so it makes sense that there would be television programs that address that. Perhaps society is more comfortable watching, asking questions, and maybe even silently (or vocally) judging the different people/lifestyles/choices/disabilities/whatever than they would be in a public forum. My only remaining question is, how long will this trend continue on educational television networks? 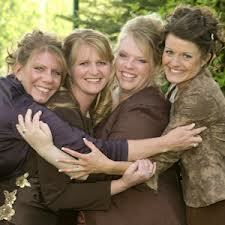 ← The Duggers—Creepy Cult or Average Americans?